A French Cherry Tart for July 4th! 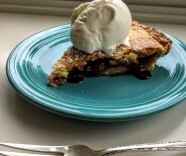 A couple of summers ago during a visit to the Basque country in the southwest of France, I tasted a rich, double-crusted butter tart that encased a delicious cherry filling. One bite of this confection and I was in heaven. 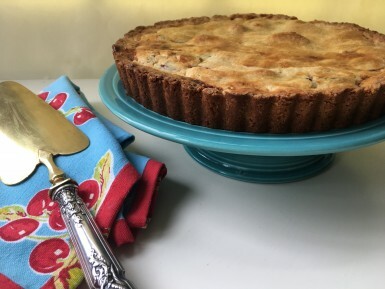 Although I have thought about that tart every time cherries have come into season, only recently did I try to reproduce it. After several attempts I arrived at a close facsimile, and think it would make a glorious finale to a July 4th celebration!